On this Podcast we set our sights on some big game. 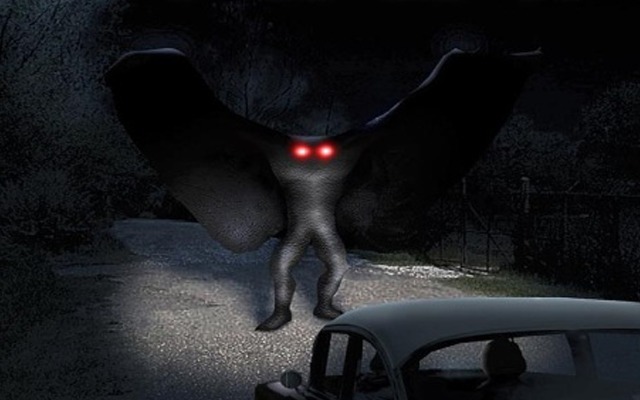 A curious cryptid and modern horror story that came to be known by one name, The Mothman, Described as the twisted image of a man with huge wings and glowing red eyes. Witnesses have reported eerily similar encounters with the mysterious beast ever since the sightings began in 1966. The sleepy West Virginia town of Point Pleasant had up to 100 eye witnesses, some claiming to have been terrifyingly stalked by the creature, raising an atmosphere of terror and paranoia. 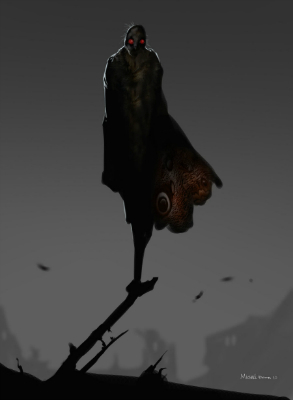 But the accumulating appearances for the Mothman ended in abrupt and tragic fashion as on December 15th, 1967 the shocked townspeople saw the local Silver Bridge collapse into the Ohio river, taking 46 lives with it. Soon after the disaster the talk began to move to the idea that the Mothman was a paranormal entity whose sudden appearance and just as sudden disappearance was inextricably linked to the bridge collapse. A creature of prophecy that came to tell of the impending doom. Those that had encountered the creature were left with red eyes and other unexplained sicknesses. But it was the parallel rash of UFO sightings in the area that presented an alternative theory. Towns folk had stories of lights in the sky, strange phone calls, full blown UFO and alien encounters, and even cryptic visits from unsettling ‘men in black’. Some people see a supernatural edge to the creature. Tales of the Native American Thunderbird or the Hindu Garuda, or any other numerous fables of angels and demons. Others consider it of advanced technological or extra terrestrial origin. A winged exo-suit, alien creature or superdimensional being existing in different realms. And some believe environmental factors are the cause for the genesis of the creature, or even the very sightings. Fingers pointed firmly at the local abandoned munitions works and it’s masses of toxic waste mutating an abomination of nature. Or classic mass hysteria, witness contamination, fabrications and good old fashioned moonshine. We’ll cover all these factors, the science and hearsay, Indrid Cold, Richard Gere, John Keel and we’ll follow every track on our hunt for the mercurial Mothman. hi guys I don’t normally pick at stuff but im a listener from New Zealand and thought that you guys might like to know that a kookaburra is a bird native to Australia that fly’s that is like a king fisher. Kiwi, Weka, Takahe, Kakapo and some very rear penguins. and Giant Moa (that are all dead now). Love listening while i work boys, What happened to the rosswell ufo podcast i want to listen to it. conspiracy!? I used to live near Area51 in Walker Lake Nevada. I took my sisters on a whacked out hike up the barren mountains and at the end was a full setting of coyote bones. I was the leader and I couldn’t killed my sisters. Well we survived. This account made me speechless. I am Navajo so go figure with me and Roswell. Plus I have taken Electron Microscopy from Delta College from Dr. Judy Murphy. I saw a single atom.